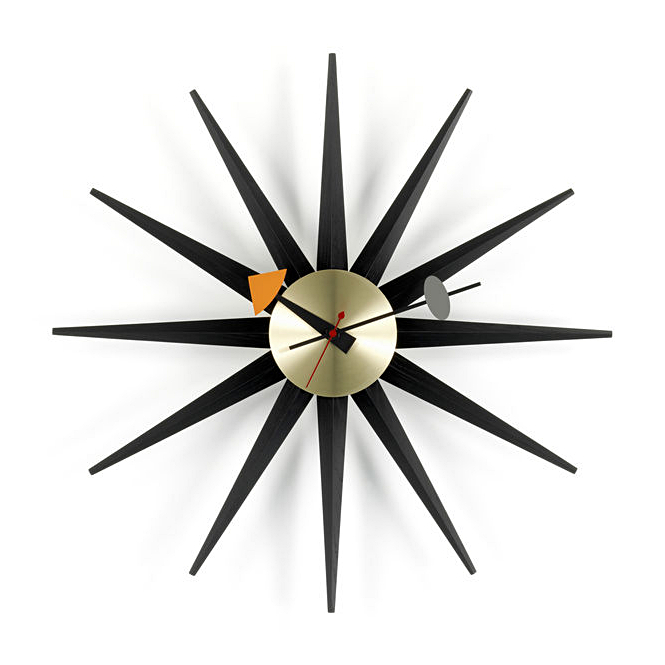 As part of the "Black Collection" Vitra offers the Sunburst Clock by George Nelson in a new black version. Part of a collection of Wall Clocks developed in the 1950s the Nelson clocks and their playful, original design stand representative for the positive optimism of '50s America, and as a reminder of how, and why, modern design became popular in post-war America. 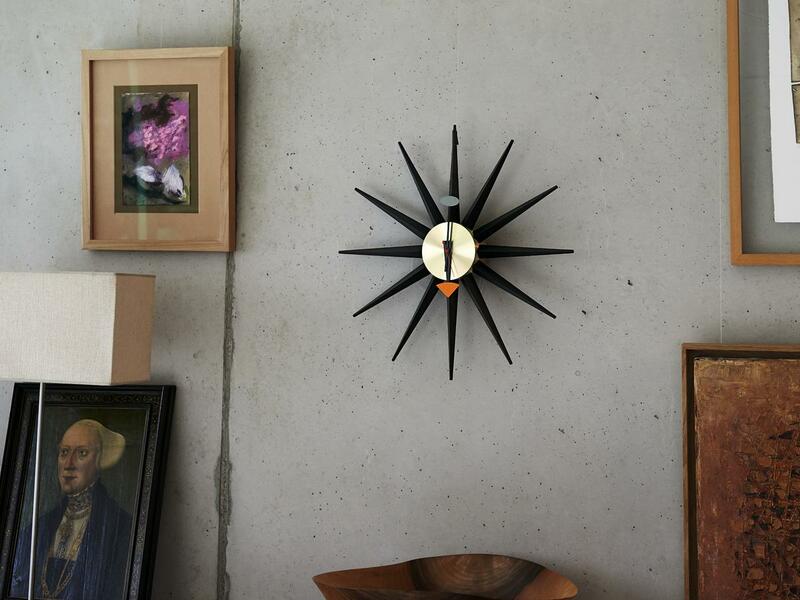 In the form of a sun the 50s style icon remains as radiant now as ever and with the new Vitra Sunburst Clock Black version is now available in a particularly elegant re-edition. 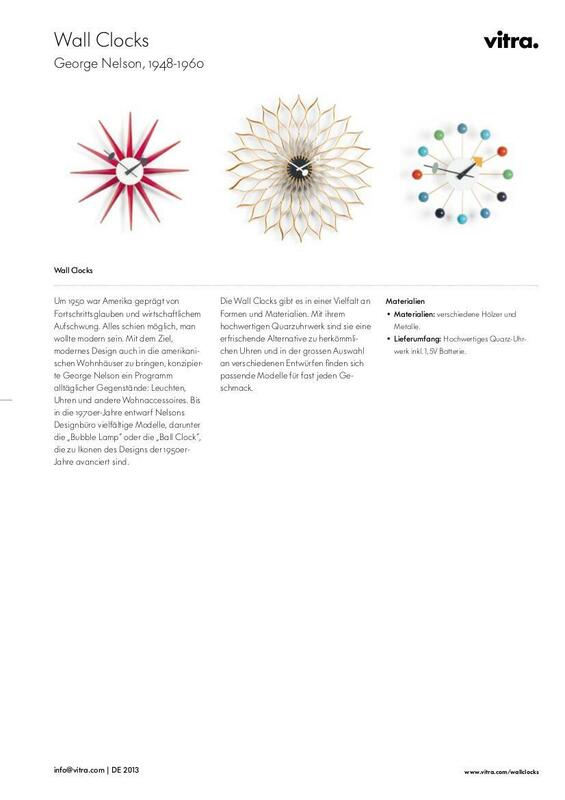 Variants The Sunburst Clock is alternatively available in walnut, red or multi-colored versions. Always clean metal surfaces gently and without excessive rubbing. 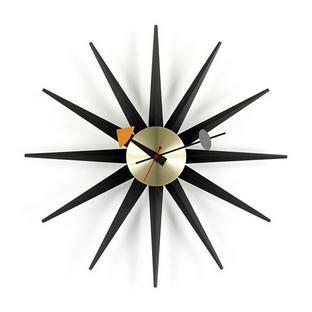 As part of the "Black Collection" Vitra offers the Sunburst Clock by George Nelson in a new black version. 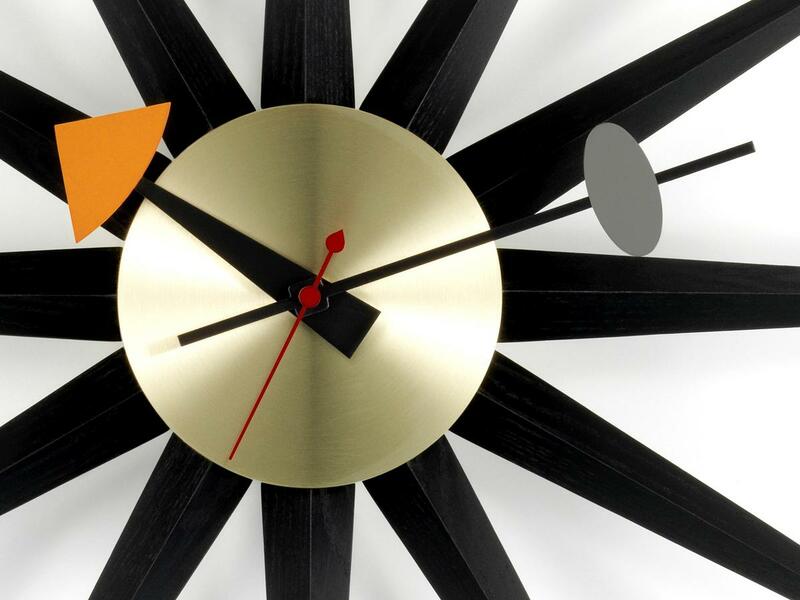 The George Nelson clock belongs to the series of Vitra Clocks, a collection designed between 1948 and the 70s. In the Sunburst Clock designer and architect George Nelson incorporated all the positive optimism of the 50s, being as he was the opinion that one must offer people designs suitable for the future rather than the past. With its radiating elements and the circular centre the Vitra Sunburst Clock Black formally represents a sun, and in the new black version the Vitra clock is a particularly elegant highlight. 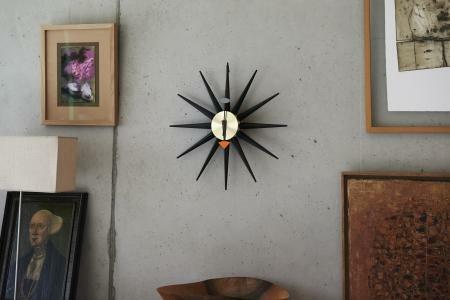 As with all Vitra clocks the Sunburst Clock Black comes complete with a modern quartz movement. 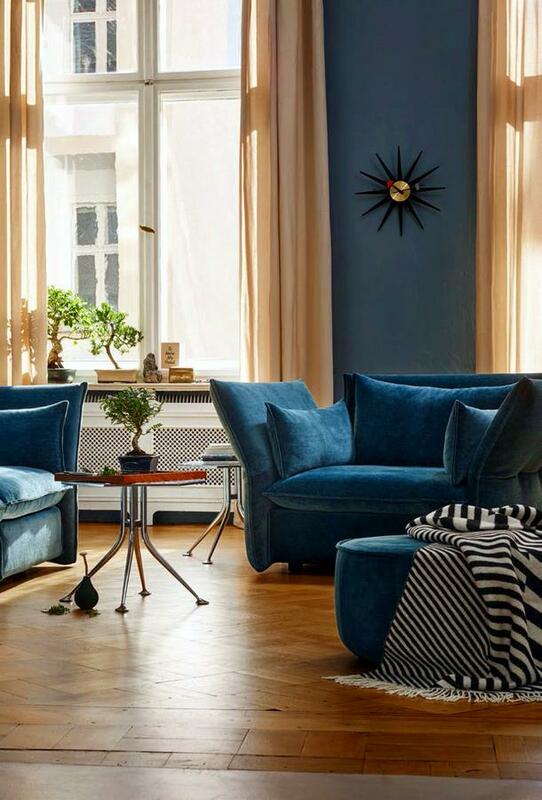 George Nelson established his design office in 1946, and from where he developed numerous designs, many of which are now considered icons of the "Mid-Century-Modern", the cooperation with Vitra dates back to 1957.